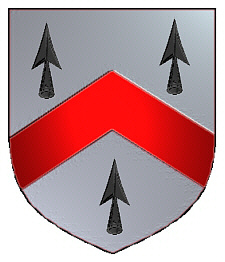 Coat of Arms: Silver with a red chevron between three black arrowheads. 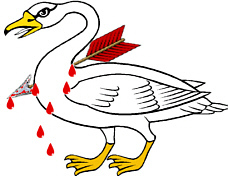 Crest: A swan pierced with an arrow. 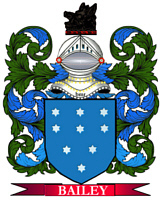 Motto: Transfixus sed non mortuus. Motto Translated: Transfixed but not dead.